Jesus's declaration frames this study of four books of the Pentateuch—Exodus, Leviticus, Numbers and Deuteronomy—as we discover the many ways that Moses wrote about Christ. 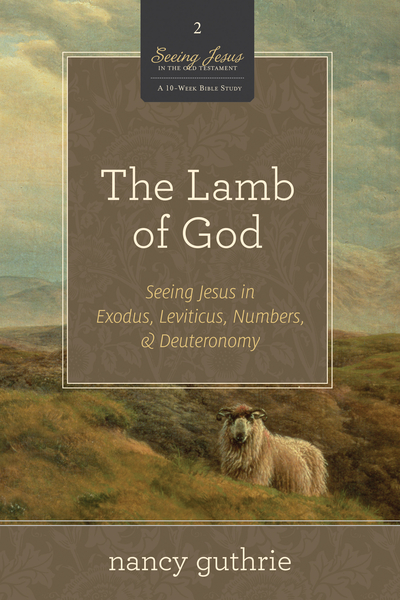 Seasoned Bible teacher Nancy Guthrie shows that the Bible's story from beginning to end is the story of the Lamb—the Lamb of God who takes away the sin of the world. * A leader's guide is available as a free download at SeeingJesusInTheOldTestament.com and a supplemental DVD of Nancy’s teaching is also available for purchase.